A President’s Education: How Much is Enough? A lot is being said currently about the requirements to become our nation’s top public servant; the president of the United States. Specifically, how educated does the president have to be? I recently heard a conversation about whether a particular candidate was qualified to be president because he “didn’t have a college education.” We already know of course that this is not a “hard” requirement for the office but could it hold back a candidate? 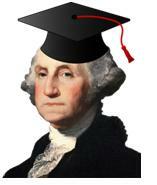 The last President who did not have a college degree was Harry S. Truman. Grover Cleveland (22nd and 24th President of the United States) never had a college degree and he was twice elected to the office. The two often-revered presidents, George Washington and Abraham Lincoln, both had no higher education, although George did have a surveyor’s certificate from The College of William and Mary. Our national image of the presidency continues to evolve. Americans may favor a populist, public servant-oriented president; not necessarily the country’s top intellectual or degree holder. This is a marked change from how we characterized the incumbent of the highest office in the land in the past. In the 20th century, many Americans who valued formal education as a way to get ahead in life felt that education was the key to advancement. It also was the key to securing that part of the American Dream where we all wanted our children to do better than we did in life. We rejoiced when our progeny acquired a new formal educational degree or became the first in their family to get a higher education – that’s progress. By having a national leader who demonstrated the ability to achieve scholastically, we were more at ease and secure in the knowledge that our president would be capable to lead and manage domestically and would be esteemed abroad when going toe-to-toe with foreign leaders. Our image of the top public servant was one of accomplishment, achievement and a familiarity with academe. We might be painting with broad strokes here, however that was our culture. In the 21st century, we entered the morass of complexity in both our society and the international schema. The social, political and professional systems that we interact with every day present more independent, uncontrollable variables than the nicely-handled dependent variables that gave us comfort in times past. Even the technological advances in artificial intelligence and fuzzy logic are not able to master and control these societal variables – our social system and public service landscape is emergent, often unpredictable and at times convoluted. The nation is looking for a great and accomplished leader in its top public servant. We need someone who can lead us through complexity. We need a president who can surround him/herself with smart and capable leaders, who can synthesize and reduce complexity and clutter to a minimum so that the president can take a clear and reasoned decision on matters of national importance. In other words, we need someone who has demonstrated these skills whether or not they have a formal education. Education also should teach leaders how and when to employ ideology and rhetoric. For example, the more successful presidents are those that don’t let ideology drive the bus. At best, ideology should be relegated to the back seats, bobbing its head up and down every now and then. We always seem to run into big trouble when ideology grabs onto the steering wheel. Leadership knows no political party or ideology – it emerges when people cultivate its traits and do what they believe to be the right thing. Our definition of leadership is a demonstrated ability to set direction, mobilize commitment and build capabilities toward a shared goal. If a president can do those three things very well, then we should care more about that and less about his/her formal education. Our 21st century presidential leadership does not appear to be correlated with formal education. However, education is still the “great enabler” and can serve as a springboard for public servants to advance and make better decisions as leaders. My sensing is that a national debate is now brewing and will come to a boil next year before the national elections. Another looming topic in our national discourse will be about updating the definition of what a natural-born American is. I look forward to both of these discussions. Shakespeare said, “Some men were born great, others achieve greatness, and others have greatness thrust upon them.” The great public servant leaders of our current times mostly fall into Shakespeare’s middle category: they are achievers. Being born into greatness, or having greatness thrust upon you is usually far less sustainable than achieving it. The presidents of today and tomorrow may be highly educated or less educated, come in all colors and backgrounds, belong to both genders, and many different age groups. Things that they should all have in common are the love of people, an overwhelming desire to serve and the ability to lead at the highest levels of our government through both calm and crisis. To that end, the John Ben Shepperd Public Leadership Institute is undertaking steps to create a presidential Crisis Leadership Learning Center (CLLC) so as to teach future leaders how to make top-level decisions under duress, with many other stakeholders, and with great public impact.